"There's really nothing like it in Streeterville"
It isn't at the level of New York's Masa or LA's Urusawa, but ultra-high-end sushi is making inroads in Chicago. Last month Next launched its Kyoto kaiseki incarnation, and in August, quietly, Masaki opened with ambitions of making Streeterville a destination for world-class Japanese dining. 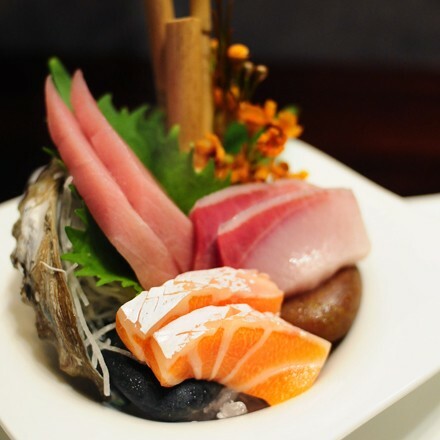 A tiny corner spot from the owners of neighboring Pelago, Masaki's offering prix fixe omakase menus from $98 to $178, plus optional wine pairings. It's unabashedly gunning for a Michelin star, and under Japanese-born chef Jinwoo Han, shows some potential for one. "It may not yet be Chicago's answer to Sukiyabashi Jiro," says Mike Sula. "But there's really nothing like it in Streeterville, or anywhere else in town." In Key Ingredient, challenged with smelt, John Manion of the imminent Randolph Row restaurant La Sirena Clandestina gives a Latin touch to the little Great Lakes fish, breading them with yuca starch, deep-frying them, and serving them with a aioli based on malagueta peppers, a hot chile common in Brazil. In keeping with the theme, Manion's challenged Matt Troost of Three Aces with dende oil, a Brazilian staple made from palm fruit. On the opposite of the spectrum from Masaki: cheap eats at Joong Boo Market, as sought out and reported by Bleader newcomer Gwynedd Stuart.